Jean-Luc Godard’s “Every Man For Himself” (1980) looks at the sexual and professional lives of three people: a television producer (Jacques Dutronc), his ex-girlfriend (Nathalie Baye) and a prostitute (Isabelle Huppert). It’s a meditative story about work, relationships and the notion of freedom. Made twenty years into his career, the film was, according to Godard, a second debut. Jean Renoir’s “A Day in the Country” was based on the story by Guy de Maupassant and was conceived as part of a larger project that was never completed. It was shot in 1936 but not released for 10 years. In Nicolas Roeg’s “Don’t Look Now” (1973), Donald Sutherland and Julie Christie play a married couple on an extended trip to Venice following a family tragedy. While in that elegantly decaying city, they have a series of inexplicable, terrifying, and increasingly dangerous experiences. 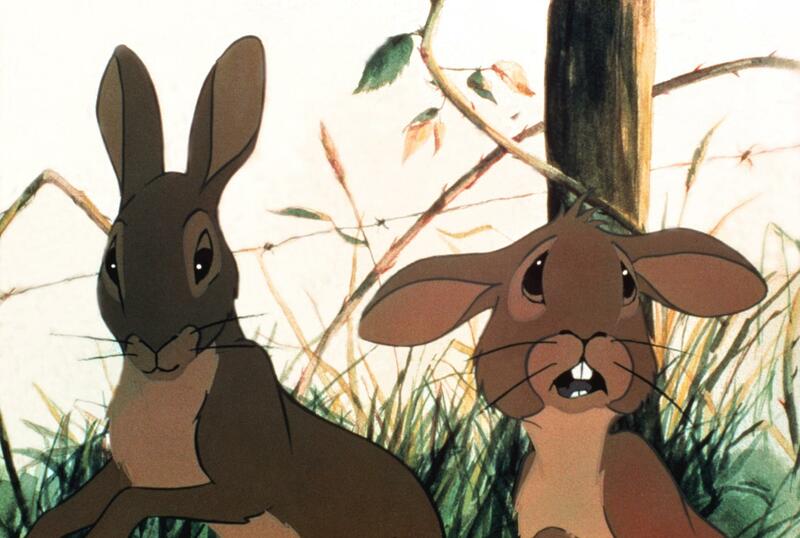 “Watership Down” (1978) is a faithful adaptation of Richard Adams’ classic British dystopian novel about a community of rabbits seeking safety and happiness after their warren comes under terrible threat. With its naturalistic hand-drawn animation, dreamily expressionistic touches, gorgeously bucolic background design, “Watership Down” is an emotionally arresting, dark-toned allegory about freedom amid political turmoil. 1962’s “An Autumn Afternoon,” the final film from Yasujiro Ozu is also considered by many to be his last masterpiece. The story follows a man’s resignation to life’s shifting currents and society’s modernization. Though widower Shuhei (frequent Ozu leading man Chishu Ryu) has been living comfortably for years with his grown daughter, a series of events leads him to accept and encourage her marriage and departure from their home. Fellini’s “Satyricon” (1969) is a controversial, extremely loose adaptation of Petronius’s classical Roman satire. An episodic barrage of sexual licentiousness, godless violence, and eye-catching grotesquerie, Fellini Satyricon follows the exploits of two pansexual young men—the handsome scholar Encolpius and his vulgar, insatiably lusty friend Ascyltus—as they move through a landscape of free-form pagan excess. Creating apparent chaos with exquisite control, Fellini constructs a weird old world that feels like science fiction.